1. This special unit will only consist of two members? – It started from the solo corner of live at Tokyo Dome. 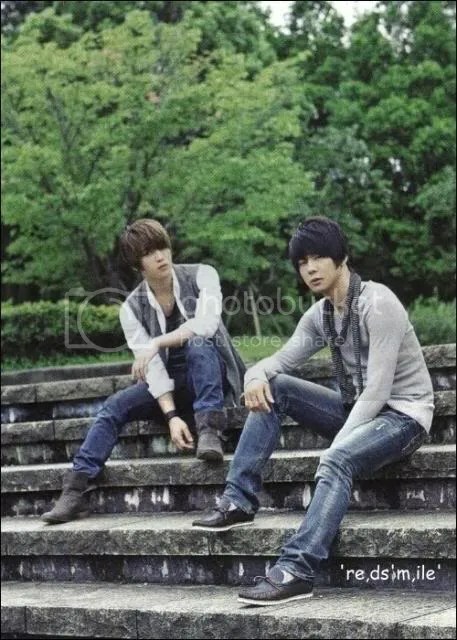 Yuchun asked me to perform in duet a song we’ve been composing together and I was worried at that time. That performance had led to this special unit activities. – Please check on Yuchun’s slow rap which really brighten up the song. 3. What is your most favorite part of the lyrics? – The part “My music in my life~” I feel that our feelings are exactly like showed in that line. 4. If you have to point your counterpart vocal’s appeal? 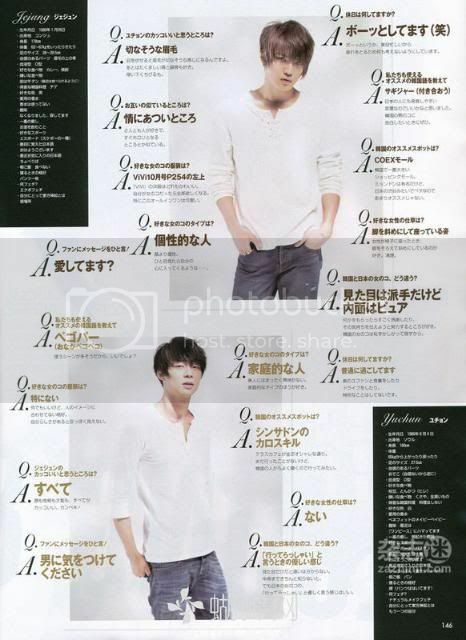 – Yuchun’s voice is a bass, yet it has a high pitched tone part which makes one great impression together. I think it’s beautiful because there’s a possibility of his voice to pull out a great power. 5. Please tell us about the making of the music video. – It took more time than you may think. We got a close distance with the small sets, it’s like Ultraman. 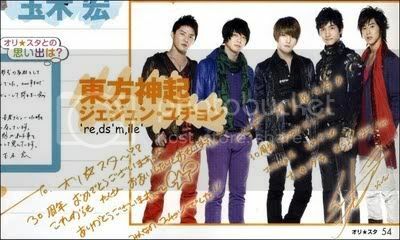 The technology used is similar in Ultraman and Yuchun even tried to be one! 6. In accordance with the title, what is your favorite colors? – I like black. It gives a good strong feeling! 7. What is the theme and remarkable part of SHELTER? 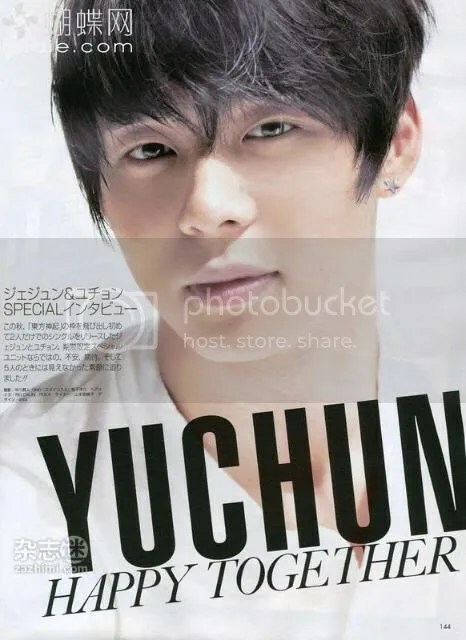 – It has R&B dance tune, and with Yuchun’s lots of rap in this song, it becomes really nice. 8. Food you’ve been into lately? 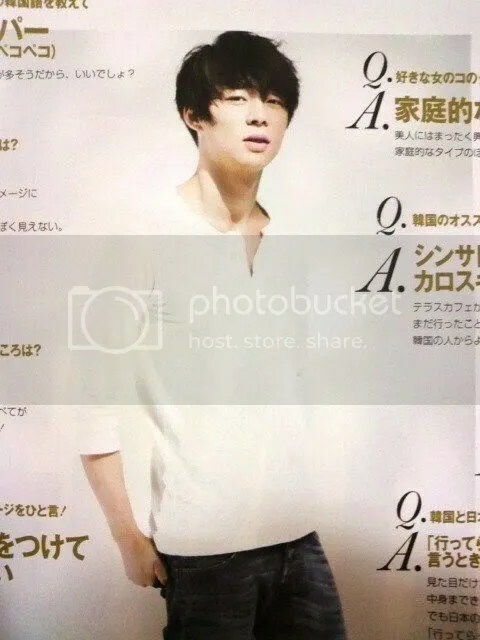 – An early sleeper, and early riser is so not Yuchun! Come back (to your old self)! 1. When did you compose COLORS? And please tell us how’s the composing style of two of you! 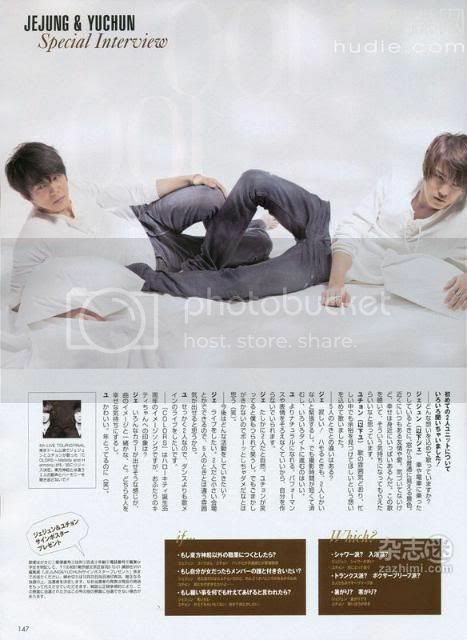 – The completion of the song was during the nationwide tour of Tohoshinki in Osaka. This time, Jejung made the arrangement while I did the melody. We shared opinions just like usual, and talked to each other of what kind of song we’d like to compose! 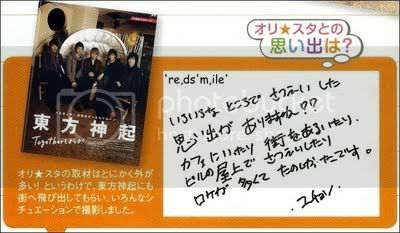 – The feeling is different from if we sing with five members, please listen closely to the harmony of these two people! In order to make everyone can easily remember the song in Tokyo Dome Live, we composed an easy/simple music, it suits to be sung in karaoke. 3. Your most favorite part of the lyrics, and why? – He has an unforgettable voice! 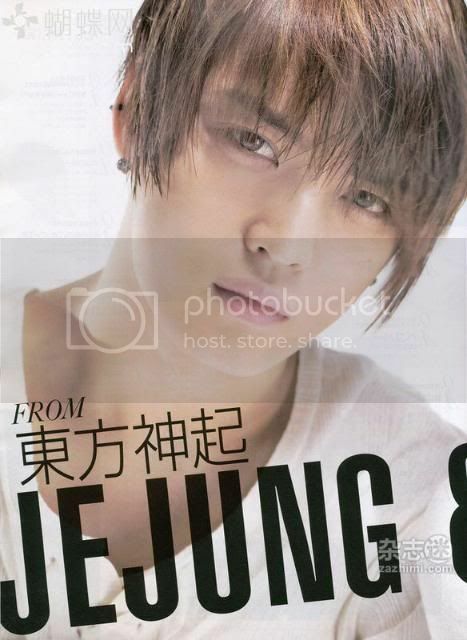 Jejung’s voice comes easy to the ear that I won’t be able to resist! – It relates as well to the colors. At the beginning we’re in a pure white world, and as the song flows, the world turns into colorful fun world. 6. In accordance with the song title, what is your favorite color? – I’d really love to listen to the contents of the lyrics! The mind of someone who adores you gives such mysterious power, it’s painful yet at the same time we’re glad to show the many sides of complicated mind which is a good thing. – Let’s sleep early, and wake up late! The world will change! Jejung “We worked hard not to get off the key, in order not to lose the impact of one circle music. Yuchun and my rap are interlocking every parts in it! 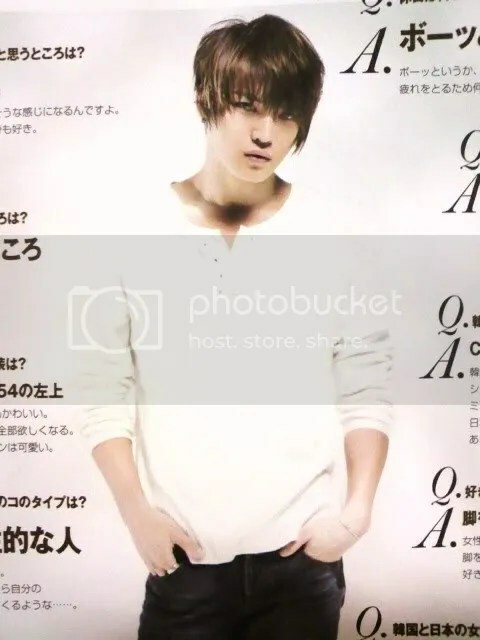 There are memories of having so many kinds of photoshoot here (for ORICON Star)! At the cafe, on the streets, on the rooftop building, we have done all photoshoots there. Since we already did so many outdoor photoshoots, it’s really greatful. Congratulations on your 30th anniversary. – That was everyone’s Yuchun!! Congrats on your 30th anniversary!! *Includes behind the scenes of the Arena Tour and uncut footage. sigh I’m so jealous of all the fans there!